Kwajalein Atoll in the Marshall Islands hosts two notable population centers: the American Bucholz Army Airfield, and Ebeye Island, where perhaps 12,000 Marshallese live. Despite being US military property, Continental Airlines stops here five times weekly. Photography is supposedly prohibited (by 18 USC 795), though that didn't get in the way of taking this shot. 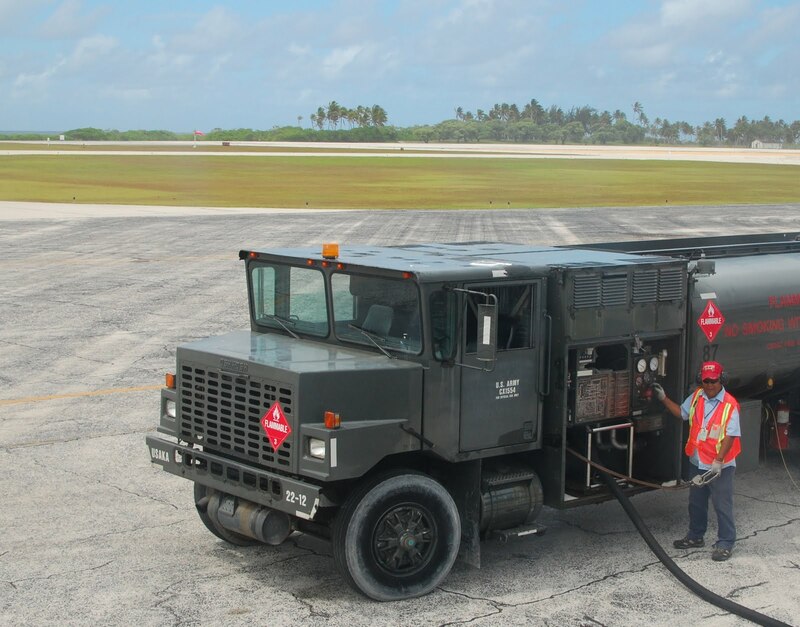 It's a US Army refueling truck topping off our 737 with jet fuel. The vital military installation beyond that is the golf course. Woo stick it to the man!